You are here: Home / freebies / FREE Nivea Pure & Natural Powder product testing opportunity! WOW! 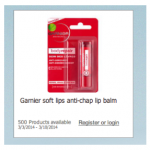 If you haven’t registered with Toluna yet, they’ve got a new FREE product testing opportunity! 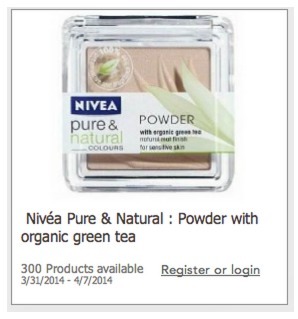 You can get PAID to test Nivea Pure & Natural Powder with green team! They have 300 openings! This is COMPLETELY legit! I have completed several product tests including diapers, grocery items, perfume, household products, and more! 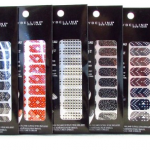 It’s so fun to be able to test new products before they hit the market! 2. Click on the Rewards Tab at the top and then click on Test Area to apply for this opportunity and to see what other opportunities are available! E-Poll – Get paid for completing surveys about favorite movies and TV shows! Opinion Outpost – One of my FAVORITES! Get paid in Paypal or Amazon gift cards! 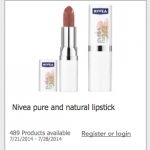 FREE Nivea Pure & Natural Lipstick Product Testing Opportunity! 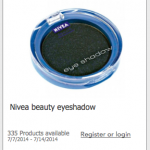 FREE Nivea Beauty Eye Shadow Product Testing Opportunity! 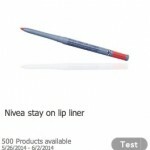 FREE Nivea Lip Liner Product Testing Opportunity! 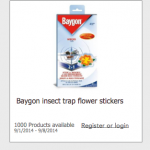 FREE Baygon insect trap stickers product testing opportunity!